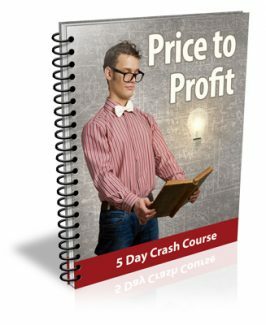 If you can answer yes to the following questions you'll want to get your hands on the Price to Profit Crash Course Package! The "Price to Profit " course was specifically designed to show even absolute beginners how they can price their products and services to attract more clients in order to make more profits for any business. Even if your readers don't have clue how much they should be charging they will be able to quickly put the information in these to good use! The best part is with the private label rights to this course not only will you be able to learn valuable pricing strategies for your own business, you will be able to pass that knowledge on to your subscribers.